The Clear Standout in Sacramento Hotels Welcome to The Crowne Plaza Sacramento hotel. While staying with us, youll enjoy a variety upscale amenities and perks. Take a swim in the outdoor pool, relax in the whirlpool spa or dine at our restaurant, Arbor Grille. You can even maintain your exercise regimen at our fitness center or across the street at California Family Fitness at a special guest rate. If youre looking for hotels near Sacramento Airport (SMF), we are just 15 minutes away. 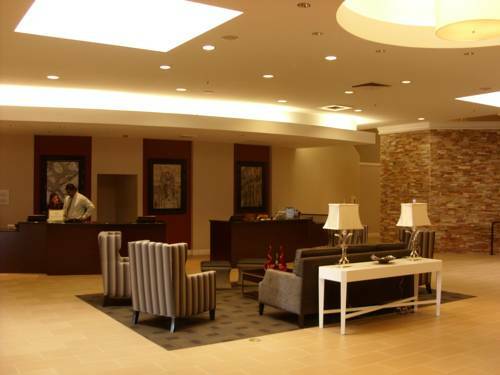 For business travelers, we offer easy access to McClellan Business Park and Natomas Business Park. We are also close to several other local companies, such as Hewlett Packard, Northrop Grumman, Raytheon, Sears and Lowes. For the best hotel Sacramento has to offer, choose Crowne Plaza today! Arbor Grille: Enjoy delicious american cuisine with a twist. Open for breakfast, lunch and dinner. Perfect location for a meal with your family or just unwinding with your favorite drink and snack after your busy day. Arbor Grille: Relax and enjoy your favorite bar beverage, appetizer or dinner while watching your favorite sporting event or news channel. Full restaurant menu is available at the bar as well. Childrens's program - Folsom Lake recreational areas are just 9 miles from the hotel. Haggin Oaks Golf CourseTwo 18 hole golf courses, plus driving range, club house and store. 1 course was designed by Alister McKensie who also designed Pebble Beach. Thunder Valley Casino (Las Vegas Style) 3000 slotsnewly renovated with great varity of food. DJ's over the weekend at FallsBar with no cover charge.